JANUARY 2019; JESSUP, MD: In late 2017, Boston based AVN Systems completed the commissioning of a 32 channel Legacy AXS console. This was the second AXS to be sold, and was purchased by a private client shortly after the console's debut. In large part, the reputation of PK Pandey facilitated the sale of the console. As Owner of AVN Systems, Pandey has worked closely with API for well over ten years. 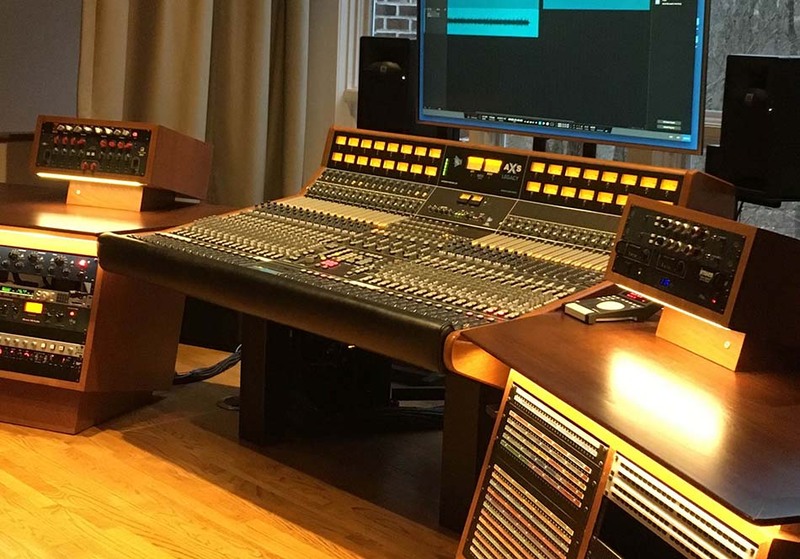 Already an expert in API modules and having sold many 1608 consoles in the past, he immediately recognized the opportunity to better serve his clients with the debut of API's new 2448 and 1608-II consoles. The natural next step was to expand his offerings to API's large format consoles where his integration experience provides added value. Pandey happily reports that with the AXS up and running for over a year, his client's console has become the lynchpin of the studio. Established 50 years ago, Automated Processes Inc. is the world leader in analog recording gear, and features the Vision, Legacy AXS, 1608, and BOX recording consoles, as well as its legendary line of analog signal processing equipment.